The Black Tribbles invite you to check out some interesting news items, intriguing tidbits, divergent points of view and just plain ol’ funtastic geekirific thingies that you may have missed while you were sleeping. Every month, the Black Tribbles invite you to check out some interesting news items, intriguing tidbits, divergent points of view and just plain ol’ funtastic geekirific thingies that you may have missed while you were sleeping. The Master Tribble is whizzing around, as giddy as an Ewok hopped up on Sweet Tarts, because scientists at the National Institute of Standards and Technology (NIST) and the University of Maryland are one step closer to making his dream of a functional light saber come true. 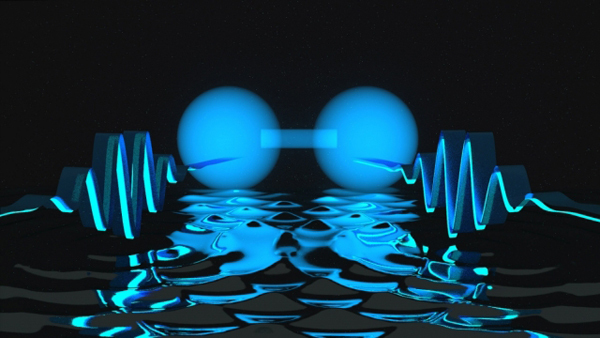 The team of researchers has developed a way to make light particles stick together by altering the parameters of photon particles during their binding process. By using a cold rubidium gas, the photons can travel parallel to each other and a specific set distance from one another. This doesn’t necessarily mean that light sabers will soon be as ubiquitous as Tae-Bo videos in a $5 DVD basket, but one Jedi’s dream in 2015 could be another’s reality in 2025. How do you blend a man’s desire to change the nature of his existence and a criticism on environmental corruption with a wholly original take on the tried-and-true “vampire’s tale”? 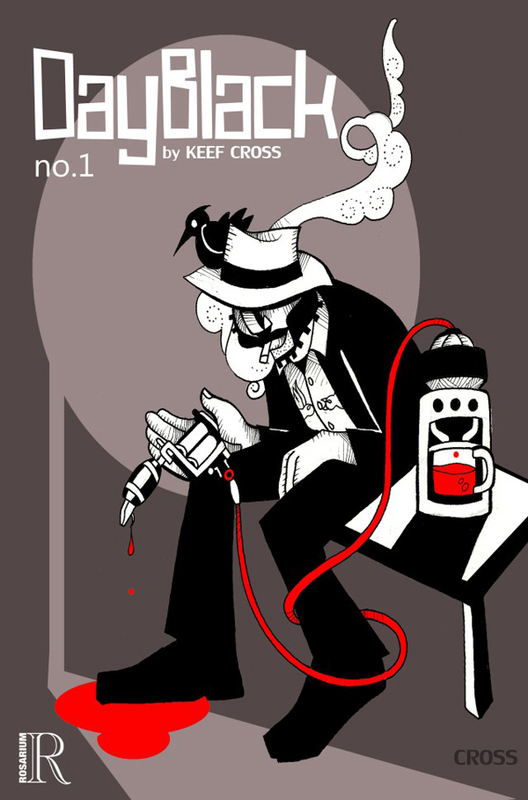 Atlanta-based writer and artist Keith “Keef” Cross has broken that alchemy code in “Day Black,” his award-winning graphic novel from Rosarium Publishing. A stark black-and-white cartoonish line turns every page into a tribal art piece that could live on the skin as eerily as its does on the printed page. The story takes an unseen turn in the second half that promises more intrigue and action in the forthcoming second collection, but the book on shelves right now has more then enough drama to satiate readers. 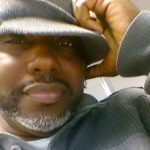 Cross was awarded best writer honors at the 2015 GLYPH Awards at the East Coast Black Age of Comic Convention and, if it hasn’t happened already, Hollywood should be rewarding him with a Brink’s truck full of cash any day now. Marvel Entertainment has been the BMOC in movie theaters for some time now, and they aim to bring that trend into the shops with their All-New, All-Different initiative running throughout their comic book line in October. The shake-up continues the publisher’s recent move towards increased diversity in front of and behind the colored panels, with “The Unbeatable Squirrel Girl” by Ryan North and Erica Henderson and “Ms. Marvel” by G. Willow Wilson and Adrian Alphona being the most noted examples. 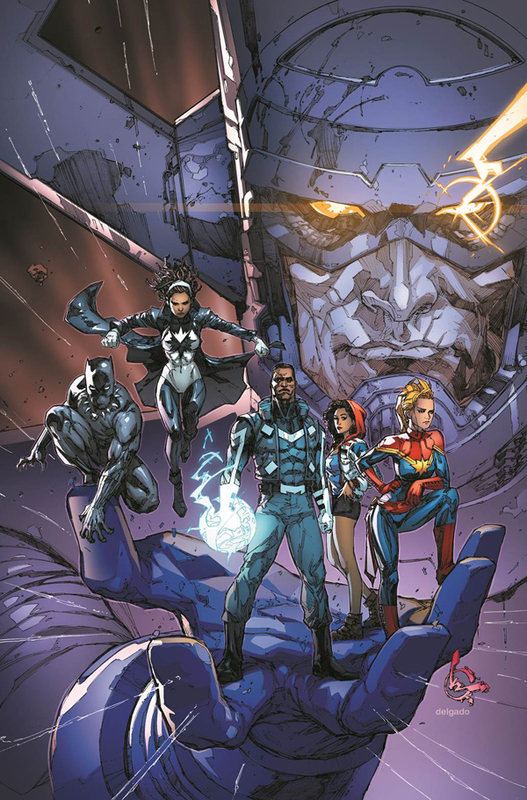 SuperTribble is sounding the clarion call — “this book is going to be awesome!” — for “The Ultimates,” a new series with a historic title featuring several of the most powerful heroes in the Marvel universe. Banded together to tackle forces that endanger the planet Earth itself, the squadron assembled by writer Al Ewing and artist Kenneth Rocafort is as diverse in identity as they are formidable in ability. 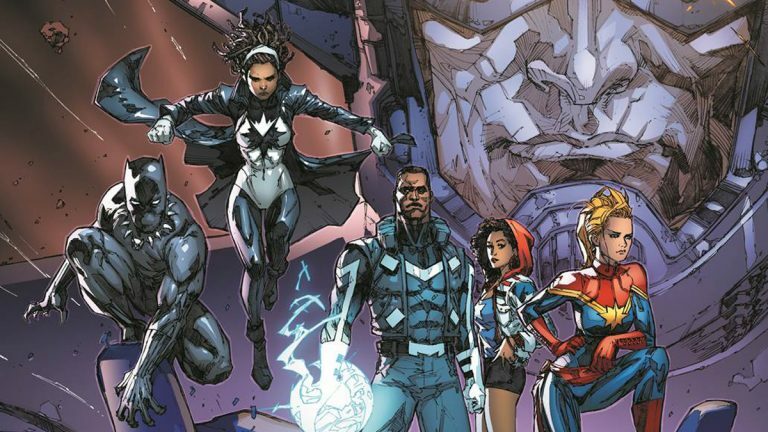 Super-powered Captain Marvels — Carol Danvers and Monica Rambeau — anchor a team led by the Blue Marvel, an African-American hero who may be the greatest and smartest hero of them all! Throw the Black Panther and America Chavez into a monthly romp along the galactic shores of Marvel’s cosmic side, and you have an incredible opportunity for monumental fun. Subscribe to the Black Tribbles’ new podcast, Tribble Nation, on iTunes, Google Play and Pod-o-matic. Tribble Nation is a new monthly podcast focusing on the geek in every color imaginable, from scientist to author, from comic book artist to comic book collector. Each episode features an interview with a special guest and a review of current topics within his or her field of geek interest.